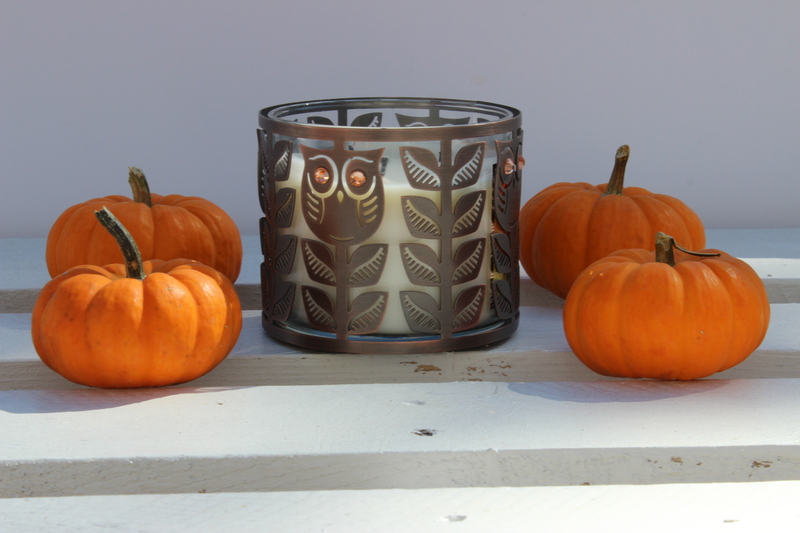 It’s October and it is finally feeling like fall! October is by far my favorite month of the year. The October-November-December quarter is also the best time of the year. There’s so much entertaining, time with friends and family, and comfort food. Plus, the desserts are better and more creative this time of the year! I’m excited about October for Sugar & Wine too! I’ve been working on a ton of DIY projects for fall and Halloween and I’ll be sharing those plus great comfort food, Halloween treats, and a few other DIY projects. Well, today I’m showcasing one of my recent projects: a pallet coffee table. A few months back my cheap coffee table finally fell apart. I started looking around for another table but couldn’t bring myself to by another cheap $20 coffee table but I also didn’t want to spend $300 for one either. I’ve always liked the pallet look and I’ve grown into liking comfort/farm house/rustic décor. I looked around for a coffee table on Pinterest and not being an advanced DIY’er, I opted to be inspired by Pinterest but go my own, easier direction. Now, I painted mine white but it could be any color you want it to be. Kelly Green would be an amazing color for a coffee table but it doesn’t work with my couch. However, if it works with yours, totally do it. 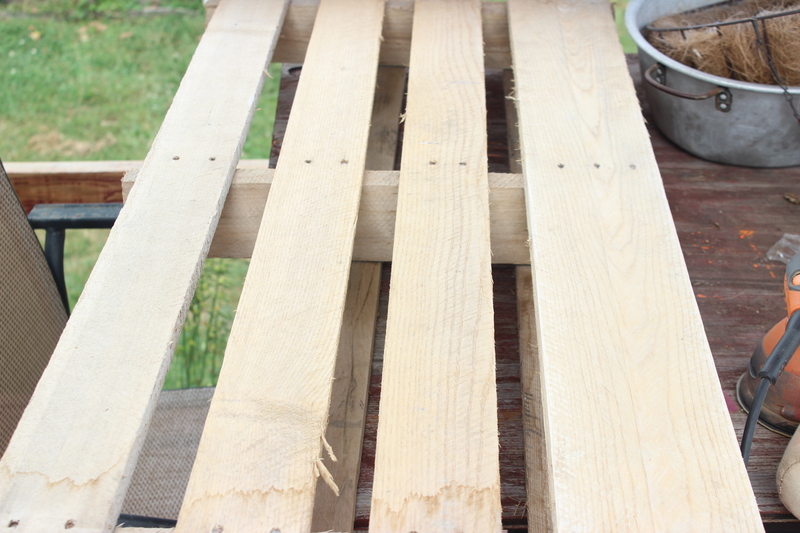 Using a saw, cut the pallet in half (horizontally). Remove the boards on the back of the pallet using your pry bar. The trick to getting the boards up without breaking them is to use a hammer to insert the pry bar underneath the board and gently pry upwards. It will take some time to get it up. If you don’t care about using the boards, you don’t have to be as careful. Next, sand the entire pallet using your sander. Sand it until it is smooth. Make sure to remember to sand both sides and the ends. 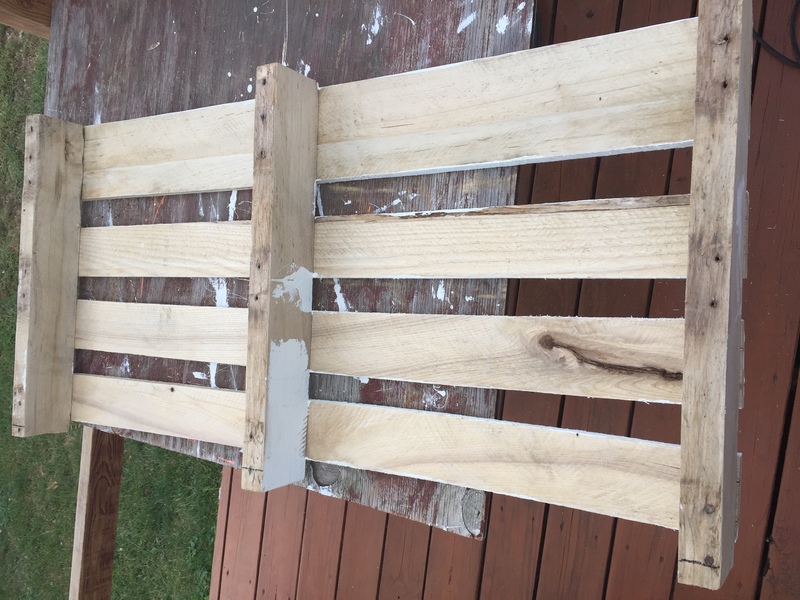 If there are shards of wood in between the pallet boards, take some sanding paper and sand it down by hand. 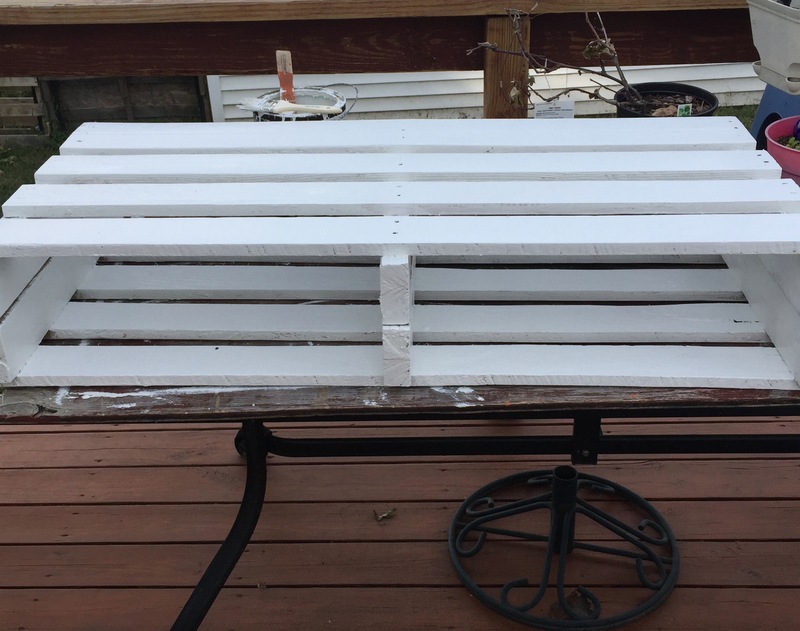 After the pallet pieces are sanded down, paint both sides of each of the pieces. I needed two coats of white plus some for touch ups. Once the pallet is dry, place one pallet piece with the face down. Sit the other piece on top of it, where it creates two holes. 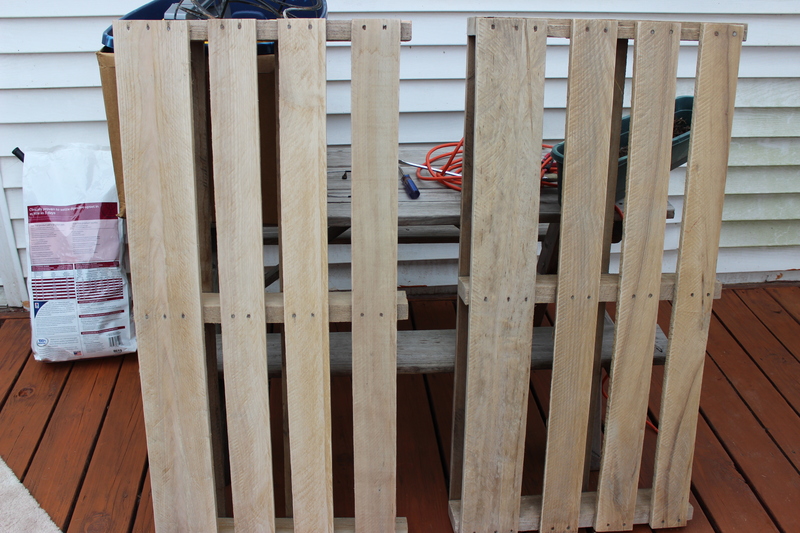 Using a drill, attach the two pieces of pallets with mending plates and screws. Using two mending plates for each side and two in the middle. Spray paint the mending plates, if desired. Using the drill again, attach the wheels on the bottom with screws. Touch up the paint if there are any marks or scuffs and you are done!